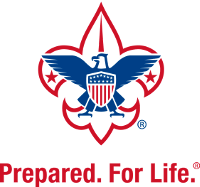 Enter your Bay Ridge Troop 13 username. Description: This is a one-night, 7-mile round-trip backpacking trip on sections of the Appalachian Trail at the Delaware Water Gap. We are leaving very early in order to insure that we have parking at the trailhead (it fills up FAST). The hike in is 4 miles and involves a 1000-foot elevation gain satisfying Camping merit badge requirements 9b1 and 9b2 (which are sufficient to satisfy 9b completely). This trip should be considered mandatory for any scouts planning to participate in summer trek for the first time. This trip may, with only slightly more work than simply required to participate in the trip,, satisfy Backpacking merit badge requirements 5, 6, 8, and 9. The hike out is 3 miles and, well, it's pretty much all downhill. Description: We have booked site 2B at Aquehonga for the weekend. Annual shooting sports event with multiple disciplines: BB guns, Archery, 22cal. rifle, shotgun, muzzleloading and cowboy action (shotgun+ Winchester rifle) all this combined with tent camping and patrol method cooking. Description: It is going to be a really nice ceremony followed by a small gathering afterward. Description: Day hike to satisfy 15-mile Hiking merit badge requirement, plus training activity for trekkers. Note that if you have NOT yet done at least one 10-mile hike, this is not for you. The Hiking Merit Badge requires that you do the hikes in order, and the 15-miler has to be after the 10 miler (well, it's supposed to be after all three of the 10-milers, but I can be persuaded to let you go after at least one). The Palisades are only an hour away from Bay Ridge. We can consider a hike in Harriman, but any further and we spend too much time driving for a day trip. Note that Sunday is Mother's Day.